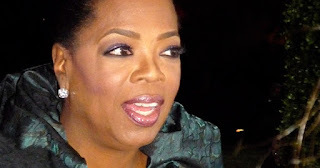 Oprah Winfrey, the billionaire media mogul, has yet again snagged a huge profit from her investments. This time, it was from the diet and nutrition company, Weight Watchers International. Her shares from three years ago not only doubled or tripled in value but are currently valued at about 9 times the price she paid for it! Back in October 2015, Oprah bought about 10% of the New York-based company at a price of about $6.79. It was at that time when Weight Watchers was still struggling. But with the help of the actress and former TV host's endorsements, Weight Watchers saw its increase in the stock price. In 2017, the shares reportedly increased to about $60.98. Fast forward to March 2018, Oprah sold 25 percent of her shares in the company. It is a move described as a part of a normal diversification of her investment portfolio. Furthermore, 361,000 shares -- which was sold for $22.6 million -- were donated to her foundation, which supports several philanthropic efforts. With 75 percent of shares, she plans to retain it and continue being a board member, adviser, spokesperson, and a significant shareholder in Weight Watchers. "I am deeply committed to Weight Watchers and continue to see a bright future for the company," said Winfrey. "I believe in Weight Watchers and I'm inspired every day by the millions of people around the world who are leading healthier and more fulfilling lives."